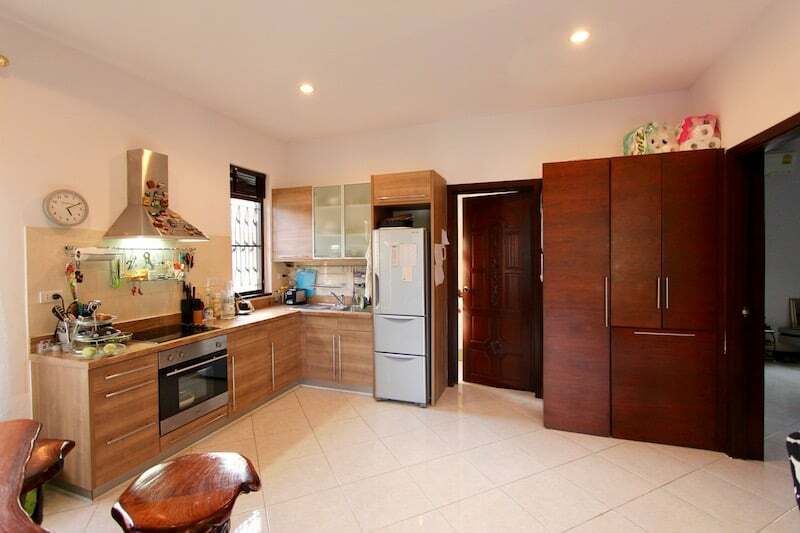 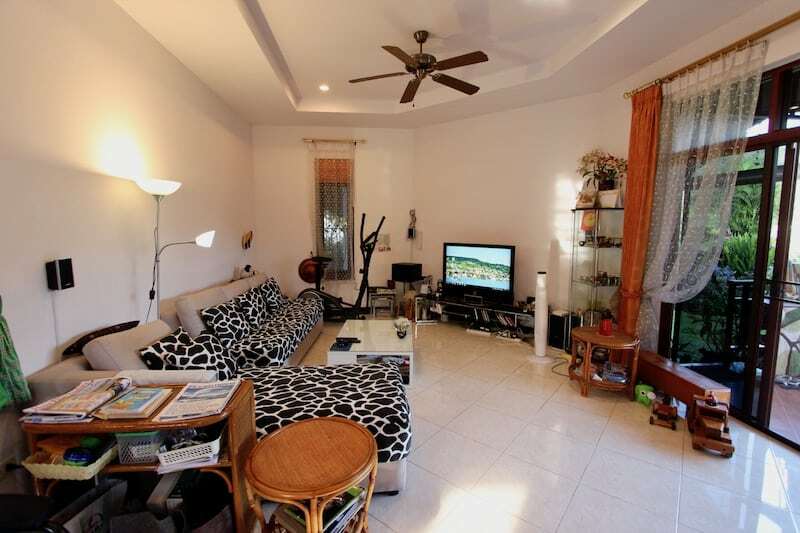 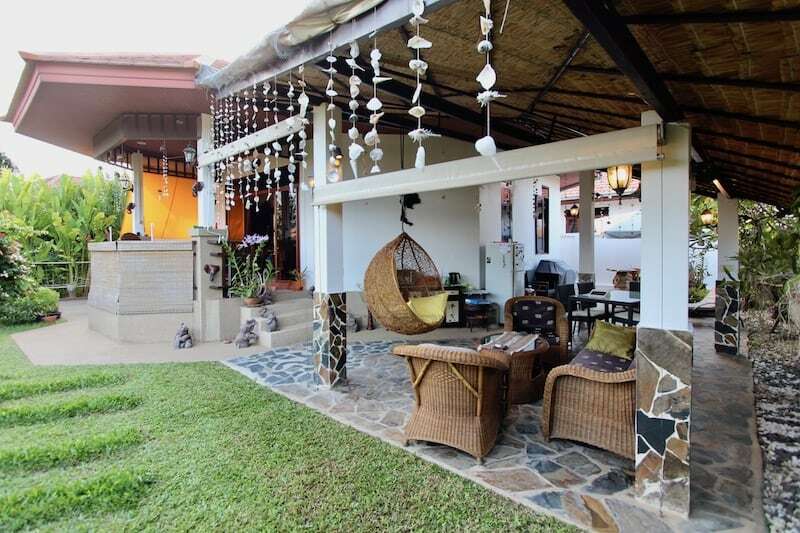 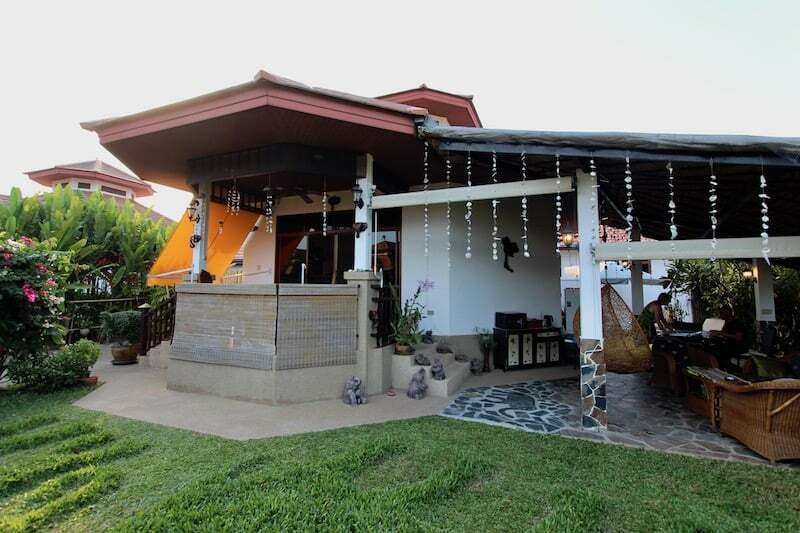 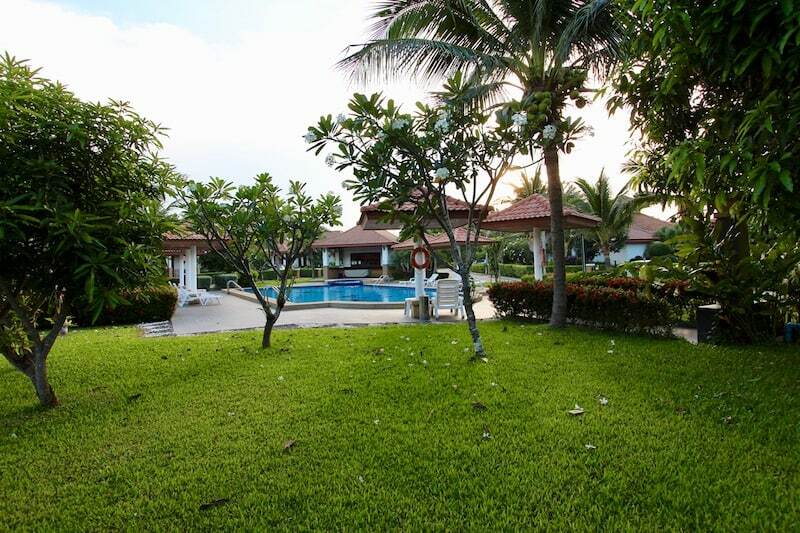 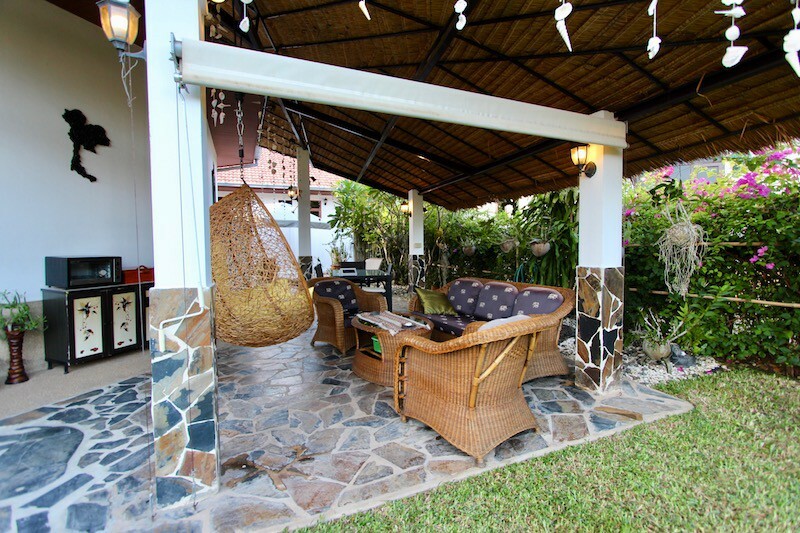 THIS IS A CHARMING KAO TAO HOME FOR SALE NEAR BEACH WITHIN A PRIVATE, COMPLETED DEVELOPMENT WITH HUGE COMMUNAL SWIMMING POOL. 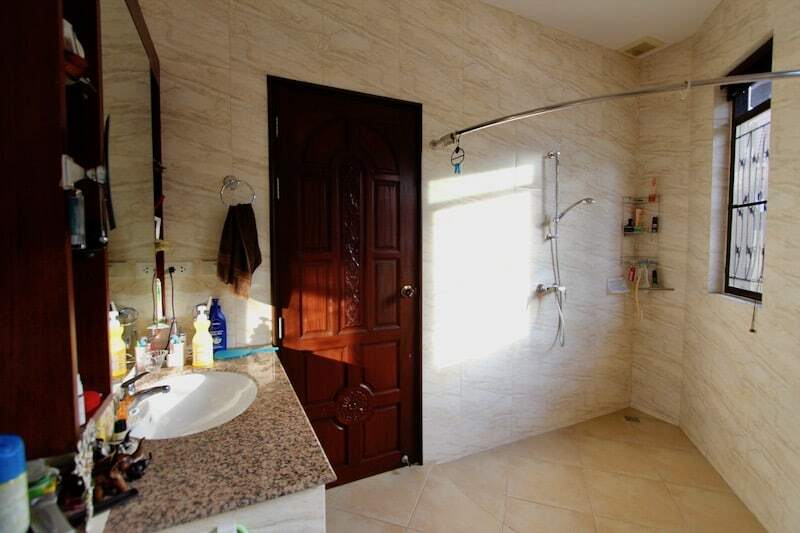 This lovely 1 bedroom, 1 bathroom property is located within a high quality, completed development of similar style homes. 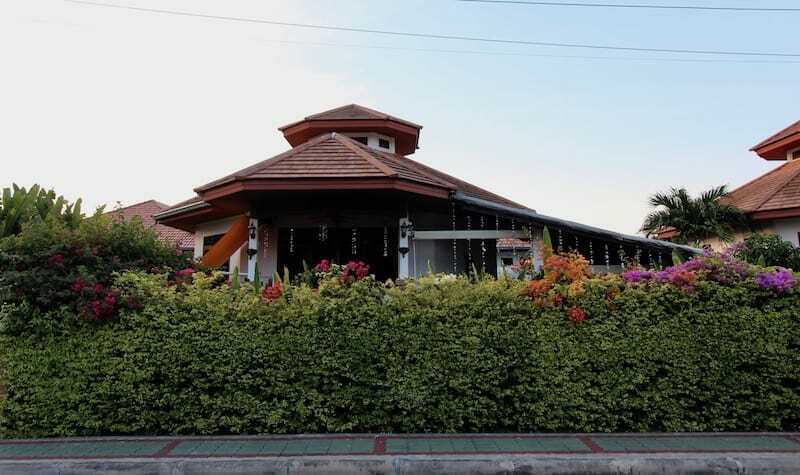 The property has a beautiful, lush tropical garden and fantastic outdoor living areas, including a covered terrace with small outdoor kitchen, a covered balcony, and storage room. 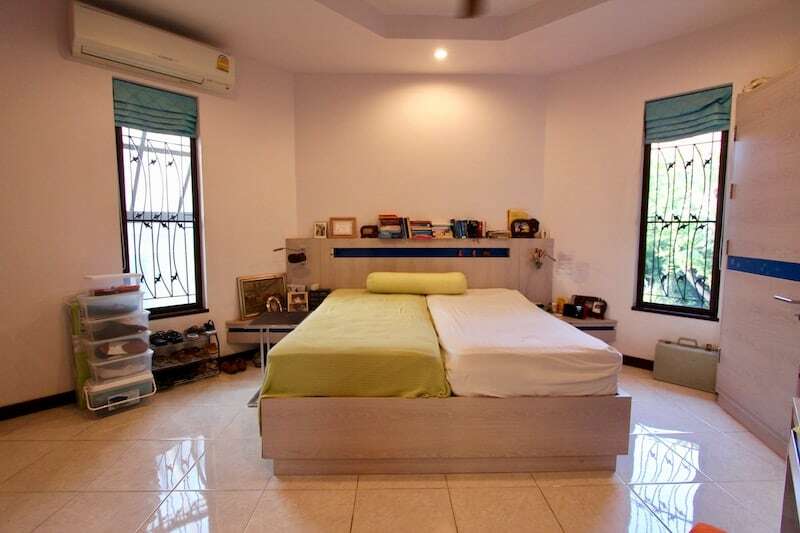 The interior of the home has a spacious living and dining room, a full western kitchen, a large master bedroom with ample wardrobe and storage, and a bathroom. 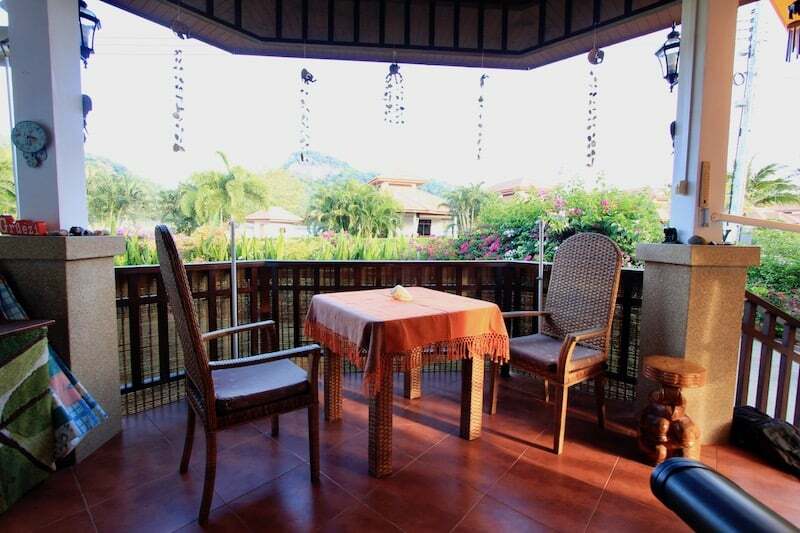 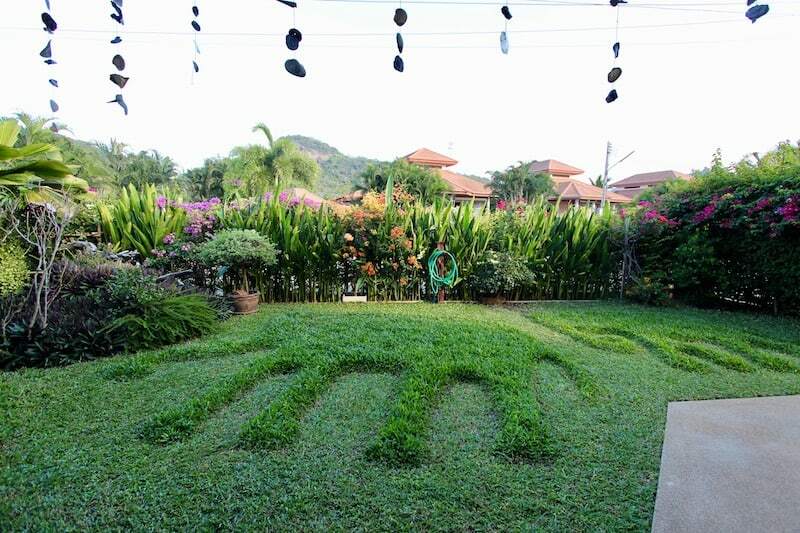 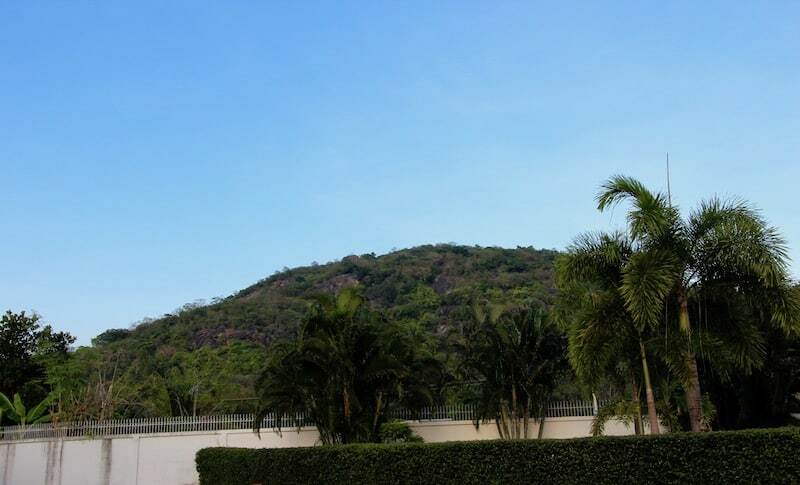 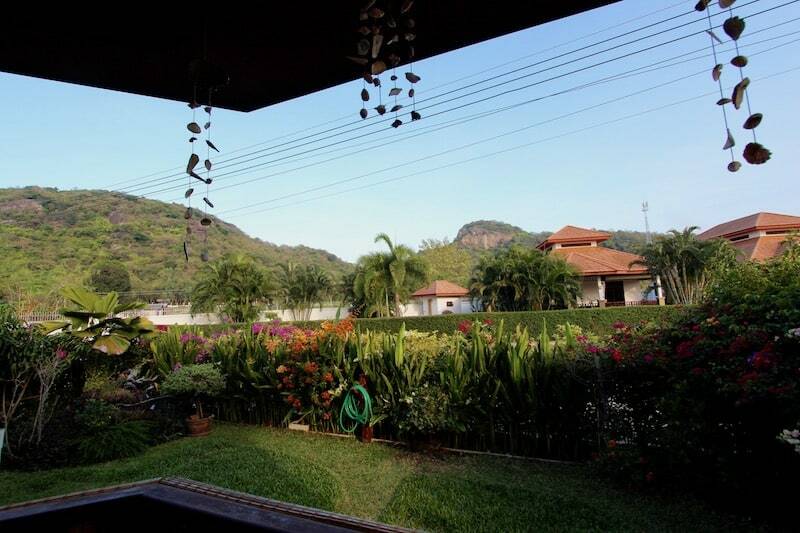 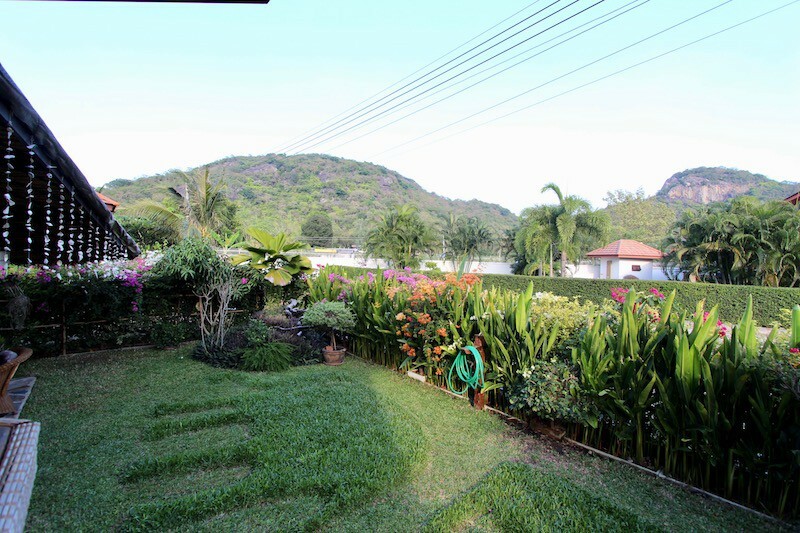 The location is ideal for someone who loves being close to nature, as the property enjoys spectacular mountain views and is approximately 1 km to the beautiful Sai Noi Beach. 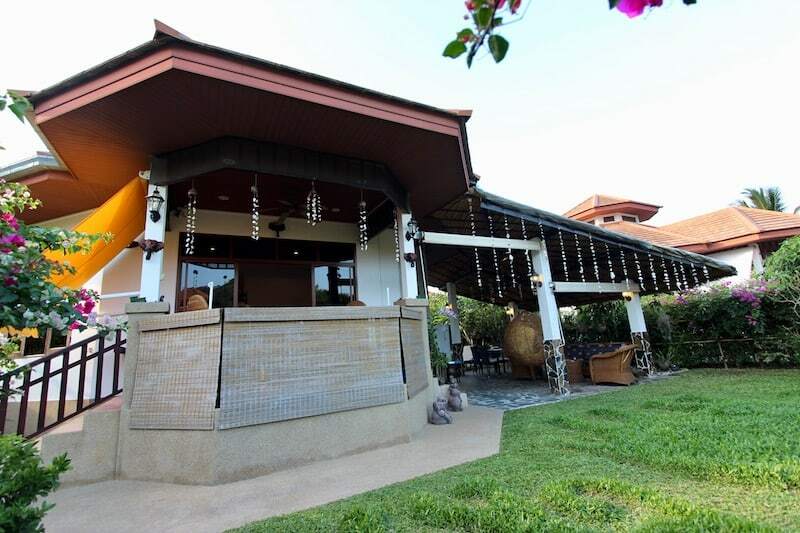 The mangrove forest park is about 5 minutes by car, and downtown Hua Hin is less than 10 minutes by car. 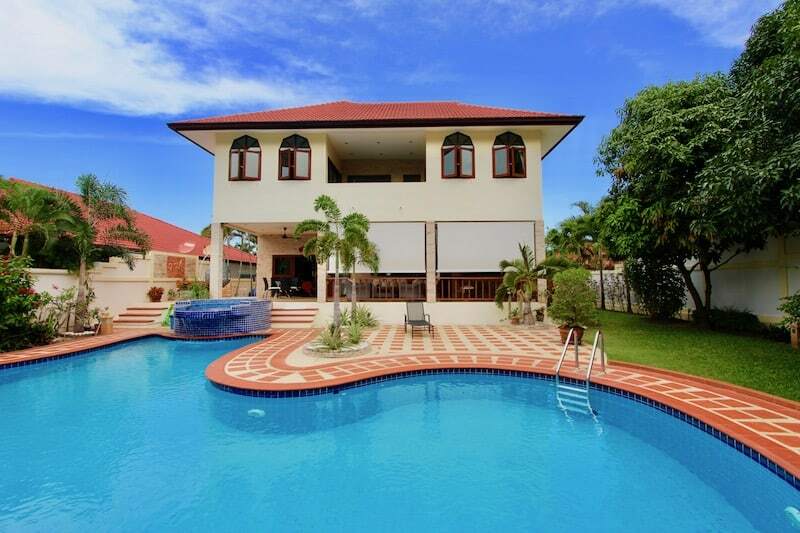 The home is perfect for 1-2 people who want to enjoy the tropical lifestyle of living in Thailand, but don’t need to worry about the maintenance, upkeep and cost of a large property with private pool. 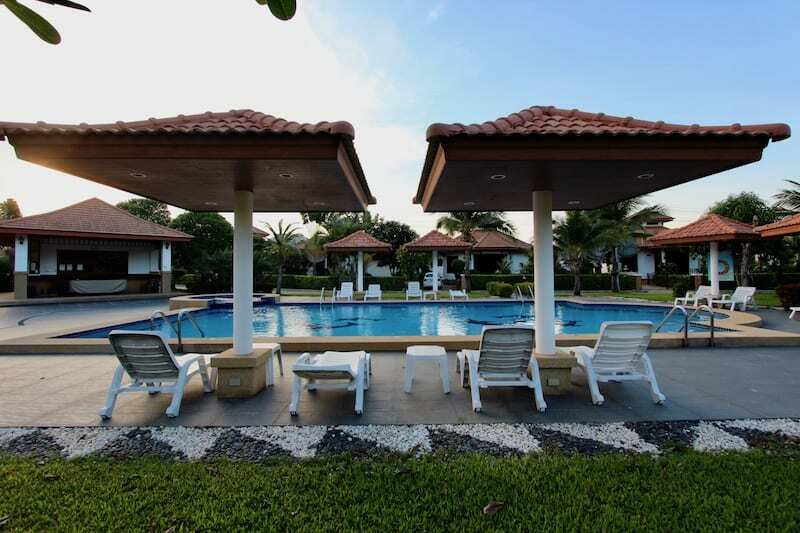 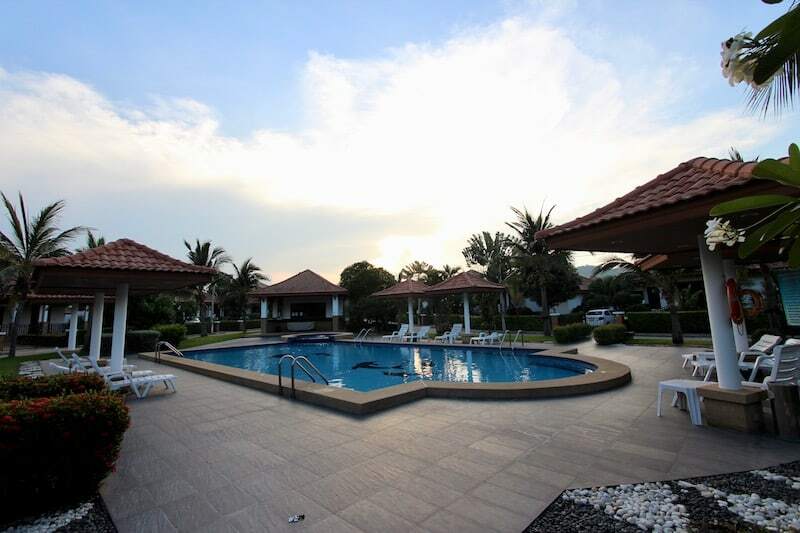 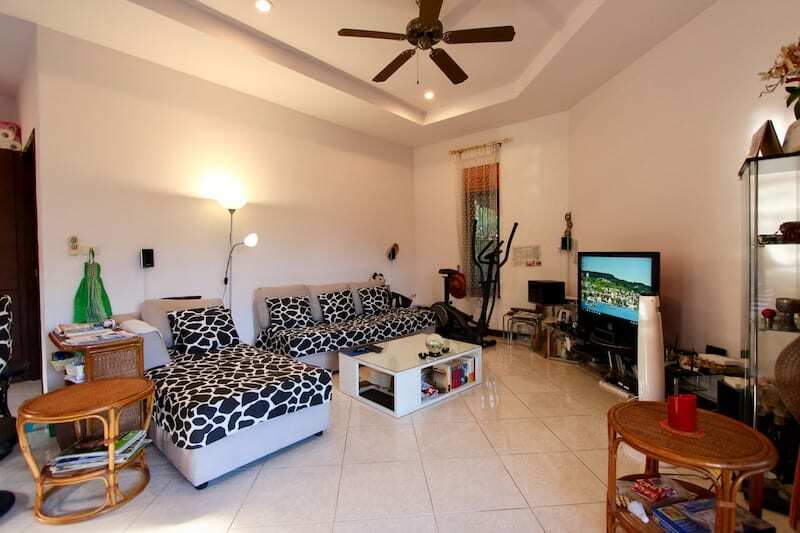 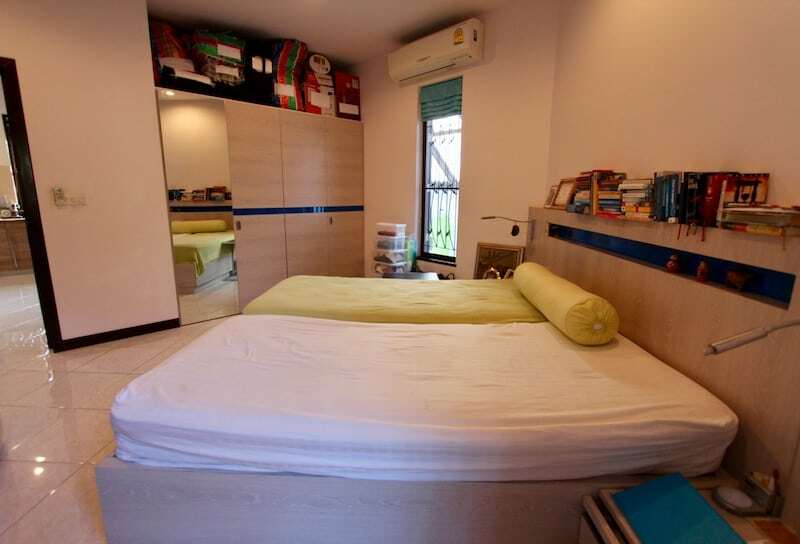 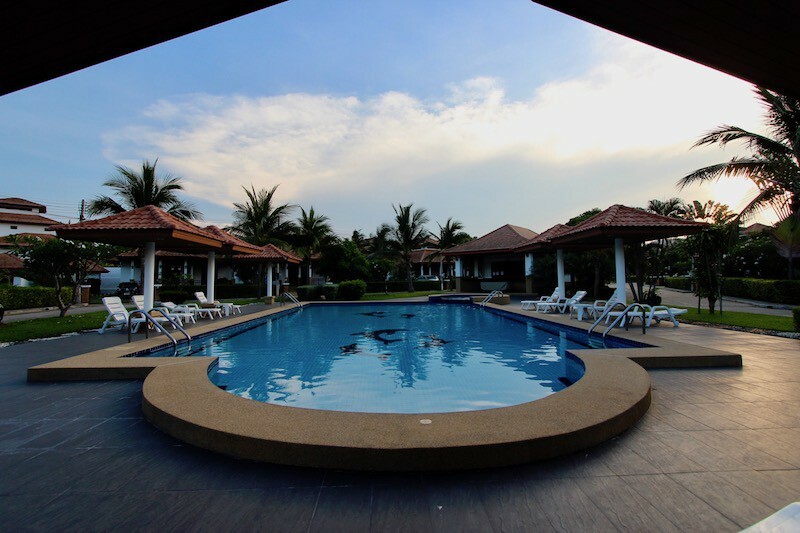 There is a nice community of expat residents who live in the development full-time, and within the project is a very large 25 meter long swimming pool plus lounge chairs, a public garden area, and a kiosk where you can relax and host a BBQ with friends.